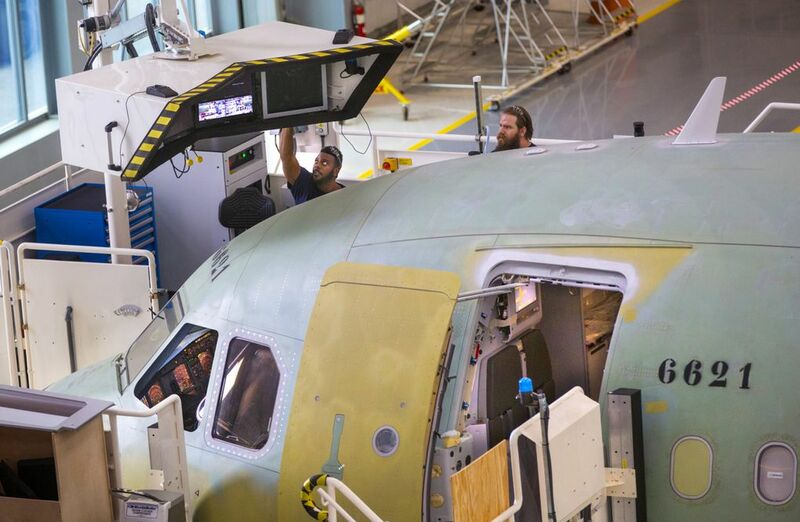 The first American-made Airbus jet built in the new final-assembly plant in Mobile, Ala., is expected to make its maiden flight this week and be delivered to JetBlue soon after. Boeing’s main competitor sees this beachhead in the U.S. as just the beginning. 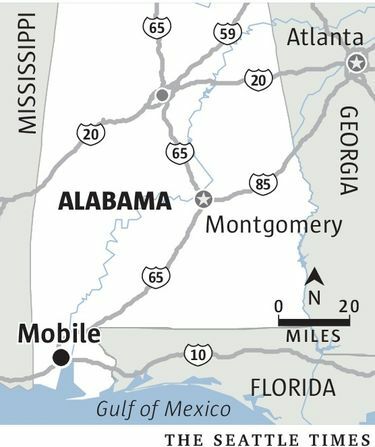 MOBILE, Ala. — Airbus once hoped it would assemble a refueling tanker for the U.S. Air Force in this Gulf Coast city. Even when it lost that job in a bare-knuckled political fight with its American rival Boeing, Airbus kept its strategic ambition to expand into the U.S. and build airplanes here. Now its time has finally arrived. Less than four years after Airbus announced it would assemble commercial airplanes here, its first American-built jet — a JetBlue A321 — is expected to take off this coming week on its maiden flight. 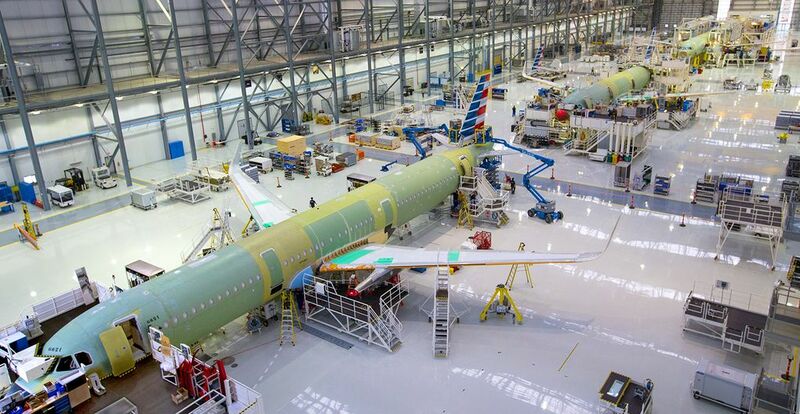 At the end of a long, freshly paved road running through acres of future growing room, Airbus’ new final-assembly plant in Mobile gives the European jet maker its long-sought beachhead in the United States. To emphasize that the planes rolling out are American-made, Airbus marketers like to stick a couple of extra initials on the model designation, making it USA321. Inside the final-assembly building during a recent visit, the walls were festooned with red, white and blue banners, like a U.S. presidential campaign rally. 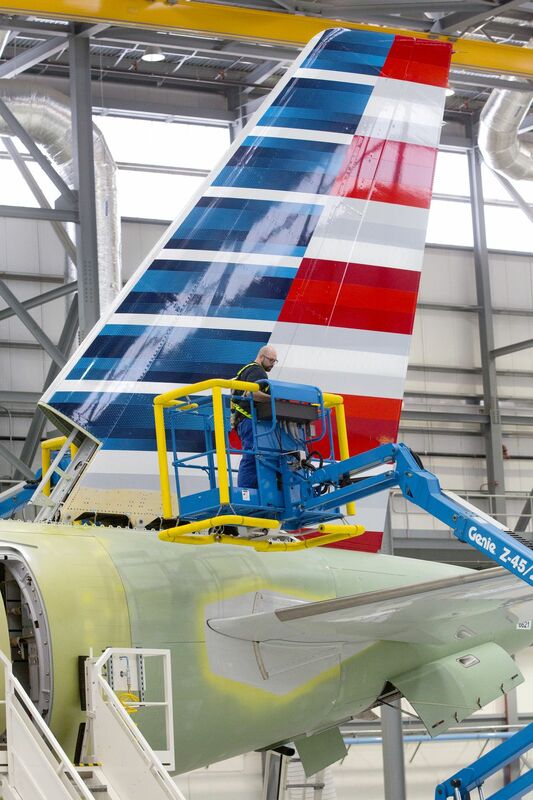 A more significant use of American symbols: Five other A321s are under assembly, their vertical tails painted with a stylized U.S. flag that signals they’ll be flying for American Airlines. The scale of Airbus’ operation here is well short of Boeing’s Renton plant, which currently churns out 42 single-aisle jets per month. Airbus plans to ramp up to building four narrowbody airplanes per month by the end of next year and has the capacity to double that rate. Yet along with Airbus jet-assembly plants in France, Germany and China, Mobile is part of the company’s plan to produce a prodigious 60 narrowbody planes per month by 2019. Barry Eccleston, president of Airbus Americas, said this $600 million assembly plant at the Brookley Field Aeroplex, now at 300 employees and growing, is the seed that will grow into an aerospace cluster in Mobile. Airbus’ current strategy is to bolt together the planes assembled here from huge, completed sections shipped by ocean from Europe, but Eccleston said he believes “in 10 years time” Airbus will also be fabricating those sections here. Airbus has multiple business reasons to plant roots in the U.S.
• To ease its foreign-exchange issues when the euro is strong against the dollar. • To win over the Pentagon and Congress, which cannot easily grant big military contracts — such as the Air Force tanker — to foreign companies. • To tap into the talent in the biggest aerospace market in the world and to eliminate any lingering resistance from U.S. airlines to buying overseas. • To accelerate its production ramp-up of narrowbody aircraft, where it’s heavily outselling Boeing. To reduce the risk attached to its aggressive move, Airbus has created in Mobile a virtual carbon copy of its existing assembly line in Hamburg, Germany, capable of building any single-aisle model — A319, A320 or A321. At one end of the line, the fuselage sections, wings and tail sections that have made a 21-day journey from Hamburg arrive after being unpacked from their shipping crates. Alabama and local authorities spent $3 million upgrading the roads around the plant and eliminating obstructions so these big loads can travel unimpeded the 4 miles of roadway from the port. The 836-foot-long building is clean and uncluttered, all the equipment pristine. The planes are assembled over 25 days in five stations. Unlike Boeing’s process of assembling the 737 in Renton — where fuselages arrive by train from Spirit AeroSystems in Wichita in one complete but essentially empty piece — Airbus sends the A320 fuselages from Hamburg in two large fore and aft sections already stuffed with wiring, ducting and insulation blankets. 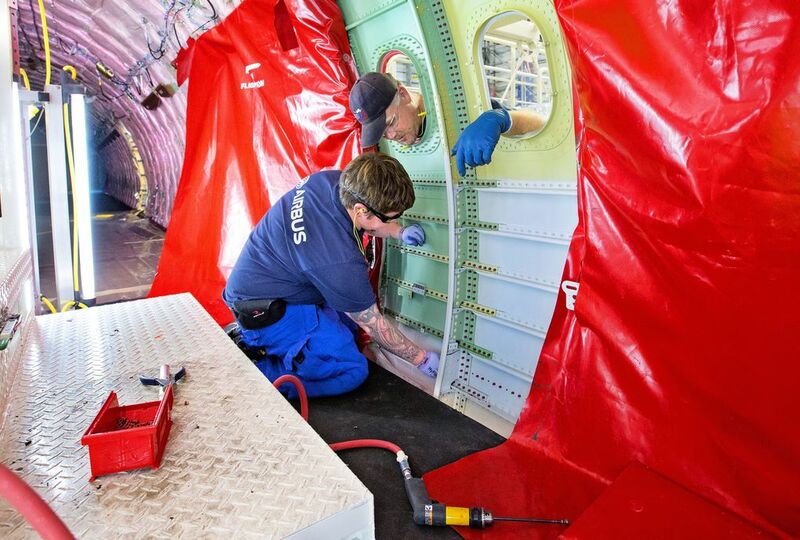 The split fuselage makes it easier for workers to get the larger interior items such as galleys and lavatories into the aircraft before joining the two sections together. On a recent visit, inside a newly complete fuselage, electrician Brianna Capps, 25, applied zip ties to make sure all the wires were snugly in place. At subsequent stations, the rest of the plane comes together much as in Renton. The wings and landing gear are added, along with the tail cone and the nose; then the horizontal and vertical tails go on; hydraulics and avionics are installed, as are the passenger cabin sidewalls. In the final station, the interior is completed and the engines are installed on the wings. Throughout assembly, the flow of parts to the line from an adjacent warehouse is handled by outside firm DB Schenker, the logistics arm of the German national railway company. When the plane rolls outside, the fuel system is calibrated and checked for leaks under a canopy. Then it enters a large hangar next to the final-assembly building, where it is minutely inspected and tested. The jet is painted by Irish firm MAAS Aviation in a paint shop beside the Airbus buildings. After that, it goes to the flight line for flight tests and delivery to the customer. MAAS, just one of the companies that has set up here as a result of Airbus, last month began construction of a second paint shop elsewhere on Brookley Field. That will be available for overflow work as Airbus expands and will also paint aircraft for others, including nearby maintenance and repair firm VT Mobile Aerospace Engineering, which has about 1,000 employees on Brookley Field and works on jets for all the major U.S. carriers. Other companies such as landing-gear supplier Messier-Bugatti-Dowty and cabin-interiors and seat-supplier Zodiac have set up small local offices to handle issues with the parts they deliver. 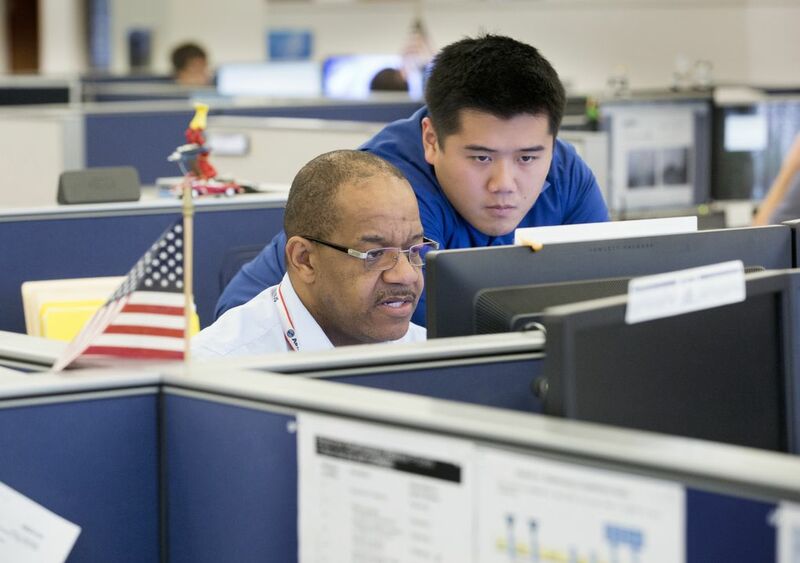 Another typical service company, AAA Aero — headquartered in France and specializing in landing-gear installation — has opened an office with 30 people and expects to grow to more than 100 employees as its relationship with Airbus here expands, said Bill Sisson, chief executive of the Mobile Chamber of Commerce. Sisson said the local and state governments have been networking for years at all the major global air shows to forge relationships with such suppliers, with added momentum since 2005, when Airbus proposed building the Air Force tanker here. The rapid growth of aerospace in the Southeast is fueled by its business-friendly politics and by active government involvement in enticing companies to locate there. 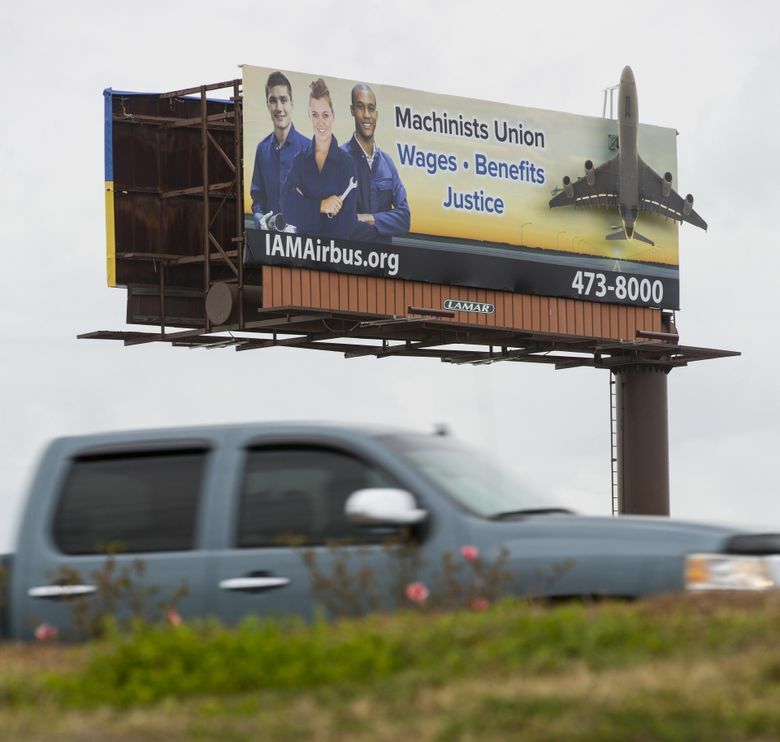 More than $158 million in direct investment, plus various tax breaks, were among the incentives from Alabama and local authorities in Mobile that lubricated Airbus’ decision to place a final-assembly line here. Roger Wehner, executive director of the Mobile Airport Authority, foresees that investment paying off. Though Airbus Mobile, like Boeing’s 787 manufacturing site in South Carolina, is a so-called “greenfield” site built on empty land, the workforce is far from green. Ulrich Weber, the German Airbus vice president who set up its final-assembly line in Tianjin, China, and came to Mobile in 2012 to do the same, said the vast majority of new hires for mechanics jobs were from the Gulf Coast. “They came to us with a high level of skills,” he said. The first three assembly-line jobs advertised in 2014 drew 3,000 applicants. The first 100 people hired for production work all had at least five years’ aviation experience. Almost a third of the workers are veterans who worked in aviation in the military, which has a big presence along the Gulf. Steven Brown, 60, a quality lead on the flight line and a Mobile native, is a retired Air Force crew chief who worked on KC-135 tankers and later serviced Airbus planes at Northwest Airlines. Nevertheless, like everyone else in the first big wave of hires, he spent nine months in Hamburg at Airbus expense, being trained in the jet maker’s specific manufacturing techniques by German colleagues. The Mobile assembly plant has five wage levels, with all mechanics starting at $16.50 per hour. They then climb through the wage levels as they demonstrate skills and are approved to complete work without tight oversight. The third level is $23 an hour. That Airbus starting wage is comparable to Boeing’s in North Charleston or at its Puget Sound factories. However, after six initial years of slow wage growth, mechanics at Boeing in Washington shoot to the top of the pay scale at $35 an hour, or at higher skill levels to $45 an hour. Troy Wayman, vice president of economic development at the Mobile Chamber of Commerce, said, “You can live on a lower wage” on the Gulf Coast, compared with, say, the Pacific Northwest. According to a CNN cost-of-living index, based on data provided by the Council for Community and Economic Research, a salary of $41,000 in Mobile is equivalent to about $50,000 in Everett. Another draw to Airbus is the possibility, despite the low starting salary, of career advancement inside a large global company. Brown, the flight-line quality lead, left a job with airline Virgin America in Miami to come home to Mobile. “Airbus was always a company I admired,” said Brown. In return for the incentives it received, Airbus has committed to creating 1,000 jobs related to the final-assembly line — including jobs at MAAS and DB Schenker and other suppliers as well as Airbus — by the time it hits full production of four jets per month. The state estimates an additional 3,700 indirect jobs will be created. 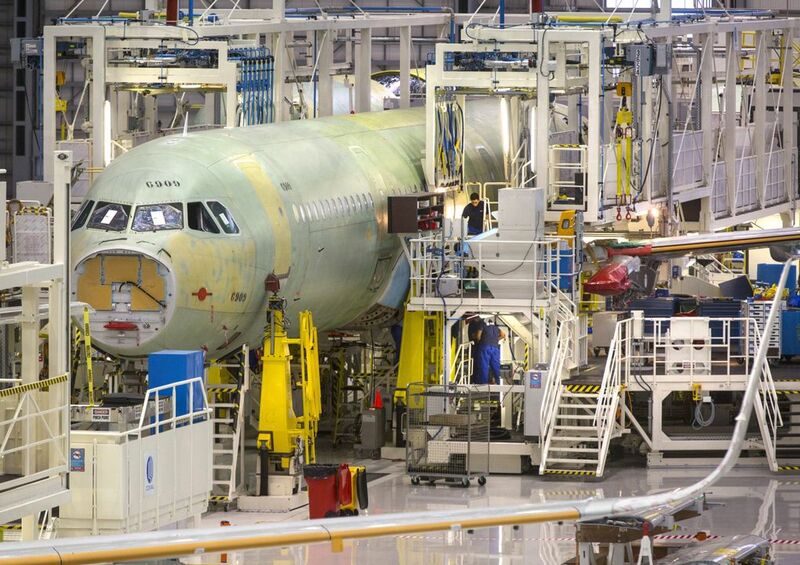 Separately, Airbus employs about 220 people at an engineering-design center near the new assembly plant. 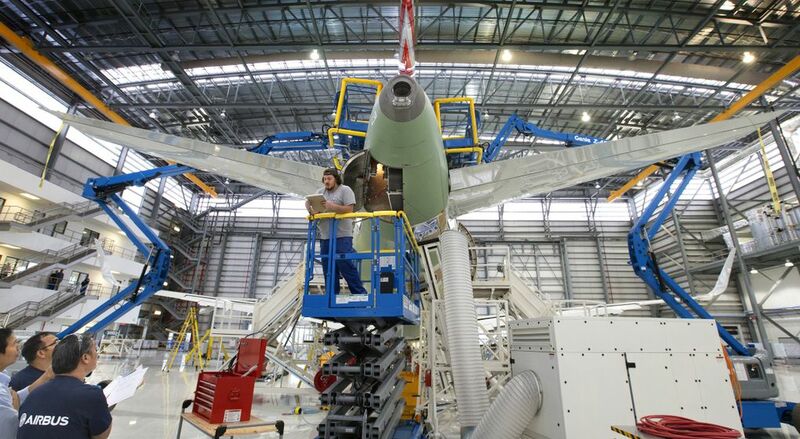 In that facility, set up 10 years ago, engineers design customized cabin interiors and cargo bays for airlines ordering new A330s, A350s and A380s. 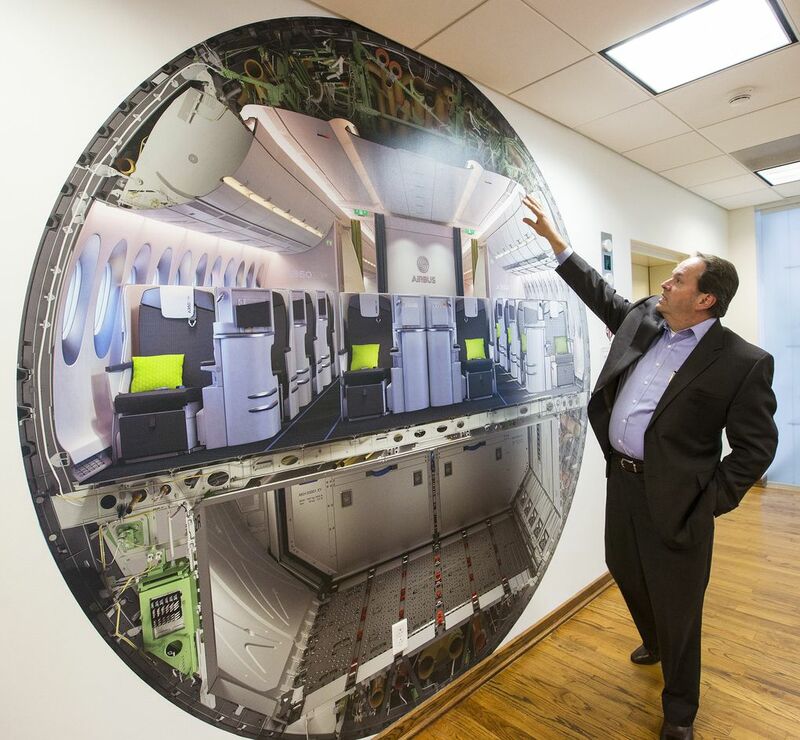 In addition, they design and retrofit interiors for airlines upgrading their Airbus fleets. Those engineers currently don’t do narrowbody-design work. With the new assembly plant now next door, it seems likely Airbus will do more engineering work here specifically for narrowbody jets. Airbus America’s Eccleston foresees more manufacturing work, too. He points to the experience of Tianjin, China, where Airbus in 2008 set up an A320 assembly plant with the same capacity as the one in Mobile. Since then, Airbus has added work in Tianjin. Local congressman Bradley Byrne said he saw the future when he visited Airbus’ Toulouse, France, and Hamburg assembly plants, and Boeing’s plants in the Seattle area and in South Carolina. Dominic Gates: 206-464-2963 or dgates@seattletimes.comSeattle Times news researcher Miyoko Wolf contributed to this report.